Innovative financial services, such as Crowd- and P2P Marketplace Lending, are increasingly popular and gain mass market adoption in many countries, especially developing ones. These technologies enable potential borrowers to apply for consumer and business loans without including the traditional financial sector. In 2017, the global Alternative Lending market had a transaction value of US$376.3 billion. The report covers innovative financial services for loan origination for consumer and business loans. 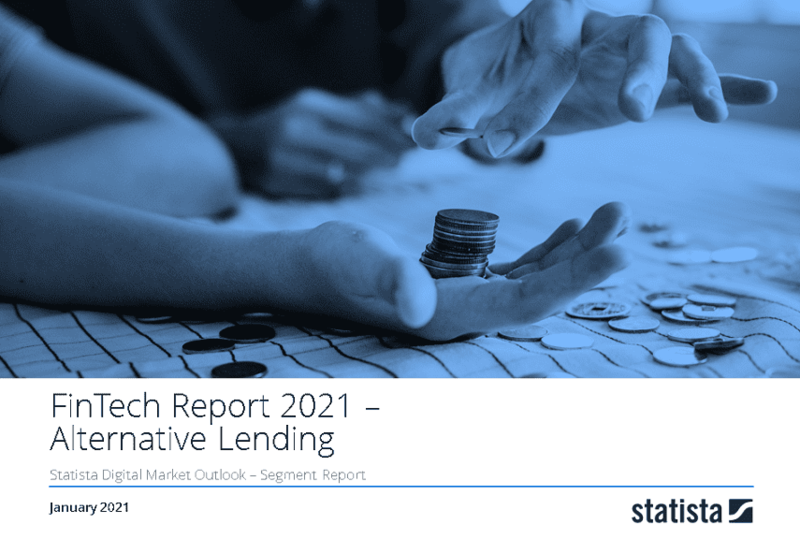 The Alternative Lending market in this report is split into Crowdlending (Business) and P2P Marketplace Lending (Personal). Crowdlending platforms enable SME’s to get loans from private and institutional investors via an online brokering platform.Businesses can obtain small loans up to a set maximum value. As a rule, financing requests are analyzed by the provider via an internal scoring system and are checked against additional minimum requirements such as turnover. Marketplace Lending platforms offer private users the option to place requests for loans in an online marketplace to find private investors who would invest at an appropriate interest rate. Portals such as Prosper apply a credit score and list the financial requests by intended purpose before fixing a lending rate. One or more investors can then serve the credit request.